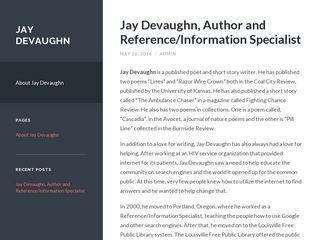 Jay Devaughn is a published poet and short story writer. 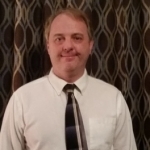 He has published two poems “Lines” and “Razor Wire Crown” both in the Coal City Review, published by the University of Kansas. He has also published a short story called “The Ambulance Chaser” in a magazine called Fighting Chance Review. He also has two poems in collections.